Manual Definite Length Tape Dispenser. 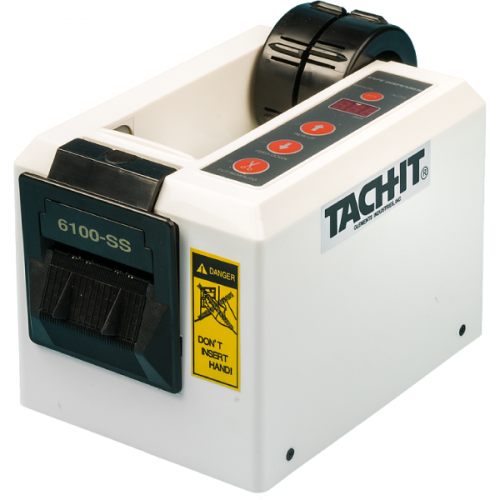 Perfect for shipping rooms, assembly and harnessing, industrial, retail, and anywhere a cut piece of tape is needed. Works with most types of non-reinforced tapes up to 3 inch wide. Simply pull the handle and the desired length of tape is fed. To cut pull the tape up against the blade. 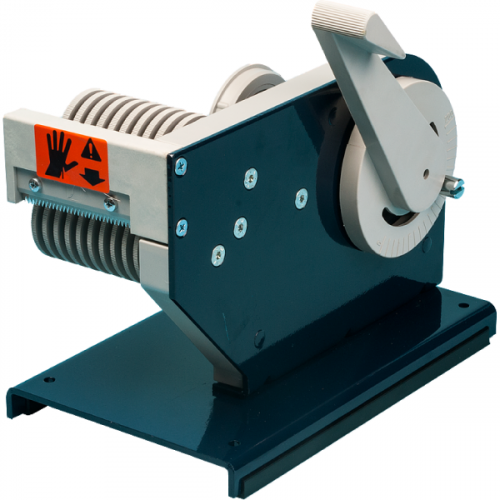 Feeds up to 8 inches of tape per pull of the handle. Easy to adjust for tape length, no tools required. For tapes on a 3 inch core. Small table top design allows for use anywhere. Weighted base and can be mounted. For use with most types of tape, this heavy duty, industrial, manual, definite length tape dispenser can handle tape up to 3 inches wide. 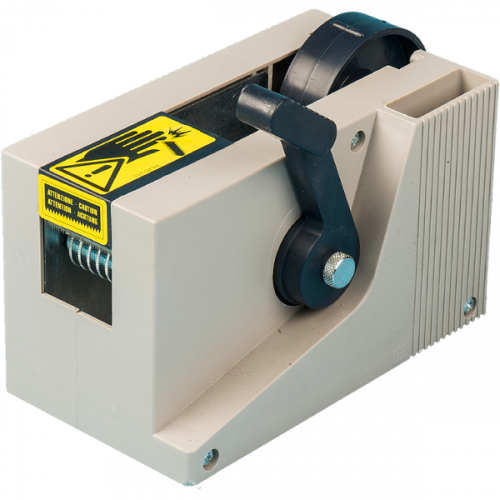 An easy pull of the smooth action lever will deliver up to 8 inches of tape. Longer lengths of tape can be achieved by multiple pulls of the lever. To adjust the tape length, simply loosen the thumb screw, move the lever to the desired position, and tighten the thumb screw. Cutting of the tape is achieved by the operator pulling the tape up against the blade as the tape is removed from the machine.